Wyoming Breezes: Persistance. . . I'll grow where I WANT!!!!!! A whole story could surround this picture...love it. The perfect case of blooming where you are planted! My husband and I were just commenting on the lovely Queen Anne's lace growing up through the cracks in our neighborhood! 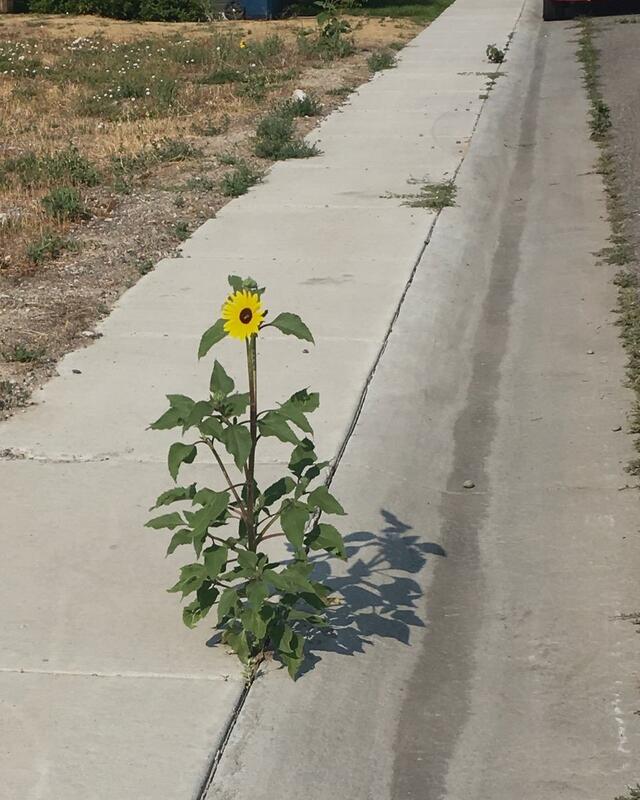 That is one persistent sunflower. You should see all the things I have growing in the cracks of my patio stones! Love these pictures! 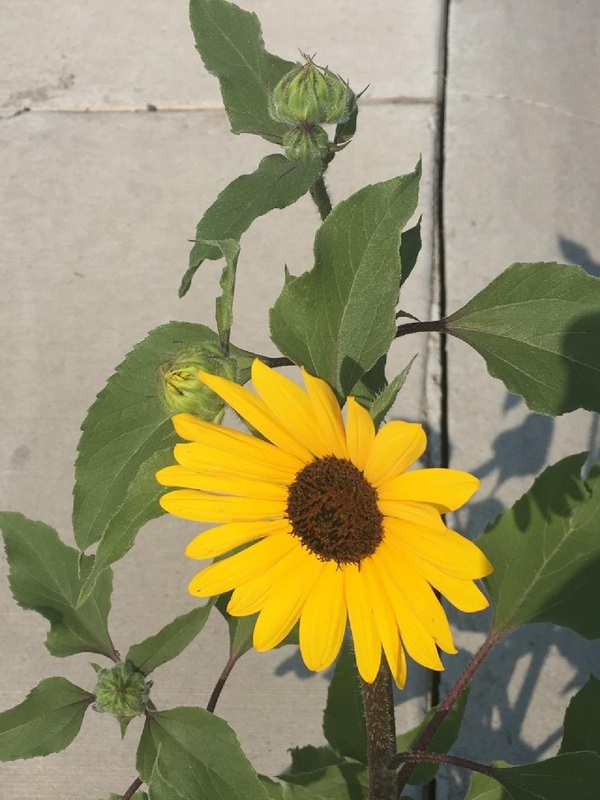 Sunflowers are my FAVORITE, partially because they are bright and cheery, but also because they are also so hardy (and, thus, easy to grow). I need this reminder-it was a hard day from every side!